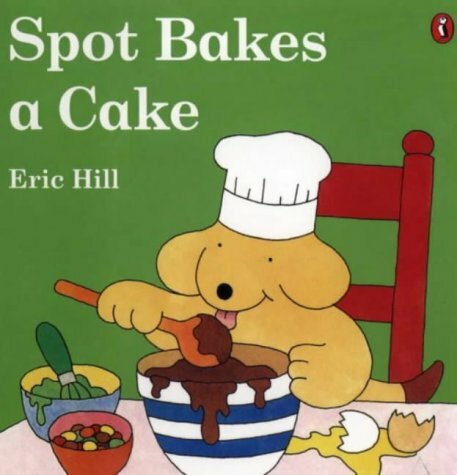 This new Spot picture book about the lovable puppy follows the popular 'lift the flap' format that Eric Hill pioneered with Where's Spot? All the Nursery and Reception children who shared it with me greeted it with the excitement that is evoked by all Spot's adventures and enjoyed the surprises behind the flaps. The formula is, as before, a playful puppy taking part in day to day activities that young children can relate to. This time Spot's mother helps him to back a cake for his father's birthday. As usual Spot is entertainingly overenthusiastic - the artistry of his totally over the top icing scored highly with the children, but it was Spot's way of helping to tidy up by licking all the utensils that appealed to one and all!